If you’re looking for a new vehicle or want expert auto repairs close to home, you can always trust the teams at Baxter Ford. With two locations, one in Omaha and the other in Elkhorn, Baxter Ford is perfectly situated to serve drivers across the great state of Nebraska. From new Ford trucks to stress-free Ford financing, we offer everything you need. Want to see how buying Baxter is different from other dealerships? Visit now and speak with our Ford professionals to learn more! View the incredible selection of new Ford models at Baxter Ford to find the right new truck, car, van or SUV. With two locations, you’ll never be left short of options when shopping for a new vehicle you love. Buy a new Ford F-150 truck to conquer tough work or lease a new Ford Mustang to show off your style. If you need added space for the family, you can take home a new Ford Escape or Explorer SUV. Or, to enhance your everyday rides, finance a fuel-efficient new Ford Focus or Fusion sedan. We also have a huge collection of used Ford cars and pre-owned vehicles from other makes so that you always have something in your budget. Sit down with our Ford finance team now and see how easy it can be to buy or lease a new or used car from us! To keep your car running at its best, come to the experts at the Baxter Ford service center. From routine Ford maintenance to timely Ford repairs and everything in between, we have you covered. Schedule Ford service now to get a quick oil change, brake pad replacements or something else altogether. We also offer new Ford service specials to help you save. Need to replace old parts? 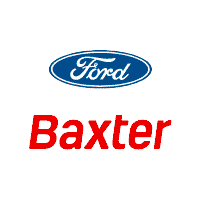 Order OEM Ford parts and accessories from Baxter Ford to get just the right fit! Visit Baxter Ford South at 9203 S 145th St., in Omaha, NE, or Baxter Ford West Dodge at 18505 California St., in Elkhorn, NE. Both locations are easy to find a just a quick drive away from Papillion, La Vista and Council Bluffs, IA. We’ll see you soon!